Special pujas are performed in the temple on Aadi Amavasysa-new moon day in July-August, Thai Amavasya in January-February and Pradosha days- 13th day of either new moon or full moon days. This is a west facing place, which according to scriptures is very sacred. The temple is open during normal hours of the day. 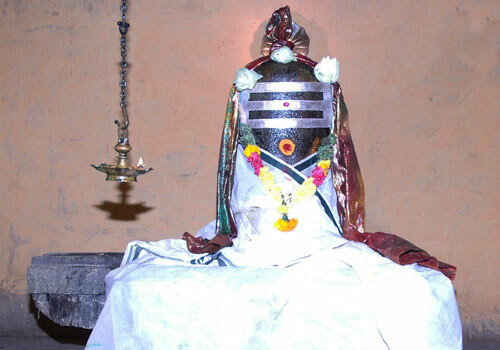 Sri Sakala Theertham Udayavar Temple, Theerthandathanam, Ramanathapuram. Only one time puja is followed in this temple. 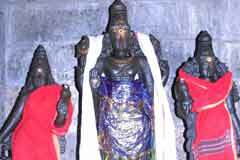 There are shrines for Nandheeswarar, Lords Vinayaka, Muruga with Valli and Deivanai, Mahavishnu, Dakshinamurthy, Mothers Sridevi and Bhoodevi, Saint Tirugnana Sambandar and Sun God in the prakara. Devotees offer abishek and vastras to Lord and Mother. 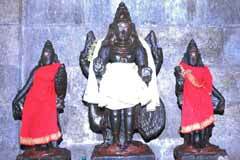 Sri Rama followed the advice of the sage and was gifted with the Darshan of Lord Shiva with Mother Parvathi. Varuna also enjoyed this event. 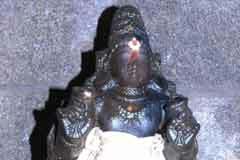 He begged the Lord to stay there and flow His blessings to devotees coming to Him after a dip in the Varuna Theertham. 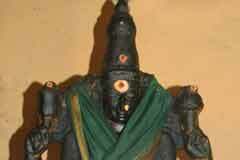 Lord Shiva appeared here facing west praised as Sakala Theertham Udayavar and Sarva Theertha Easwarar. Mother is praised as Perianayaki. The place is named Theerthanda Thanam for quenching the thirst of Lord Sri Rama. Thondi is 130 km from Madurai. Theerthanda Thanam is 14 km from Thondi. 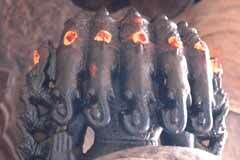 The devotee can also reach this place from Ramanathapuram – 62 km on the Pattukottai route. Hotel Ruby: A/C +91-4567-223 042; 225 230.